Book Description: Kitsch has long been viewed as fine art's poor relation, aping its form while failing utterly to achieve its depth of meaning. In "On Kitsch" Odd Nerdrum and others discuss the meaning and value of kitsch in today's world, and its relationship to art. For the first time in this volume, English-speaking fans have the chance to read the writings of Odd Nerdrum, Norway's most famous contemporary artist, or kitch painter, as he would refer to himself. This printing of a variety of writings by Nerdrum and others includes speeches, essays, and humorous pieces such as "The Kitch Questionnaire," and "Kitch Aphorisms." This book is an opportunity to discover the thought process of one of the world's most unique and compelling artists. Book Description: From her pet glass-globed hermit crab Rodney to the Victorian era's Crystal Palace, Celeste Olalquiaga offers a meditative look at the origins of kitsch and what kitsch tells us about the conflicts between the real and the artificial, tradition and modernity, nostalgia and melancholy. Olalquiaga artfully traces this form to the mid-1800s and establishes kitsch as a sensibility of loss-a yearning for objects to help recapture the past-and explains how these artifacts respond to a deep-seated human need for meaning and connection with nature. The Artificial Kingdom beautifully elucidates this aspect of culture as an attempt to recover what industrialization has destroyed. A humorous look at Jewish culture. Db. Book Description: 20th Century Icons is a stylish, quirky and instantly collectable series of little books created to celebrate the last hundred years. Famous names in the arenas of fashion, film, rock and pop, design, kitsch and camp have all chosen their own personal icons, recorded with interesting and amusing and sometimes controversial results. Wayne Hemingway, founder of funky fashion label Red or Dead and self-confessed kitsch addict and collector selects his personal kitsch favourites. From poodles to pink flamingos and Blackpool Tower to the Vatican this is a collection like no other, for the delight of kitsch fanatics everywhere. Florida is the land of pink flamingos, bathing beauties, palm trees, coconuts, and beaches. It is a tourist mecca and a treasure trove of souvenirs. This book is a salute to the popular Florida tourist culture of the 1940s through the 1970s, when mostly northern tourists embraced the Florida sun and beaches with open arms, discovering along with Florida's natural beauty, a lot of kooky kitsch. 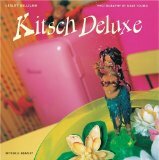 Kitsch is colorful, funky, fun, and collectible. This book, with its 250 photos, remembers the nostalgic, whimsical objects often bought on impulse, brought home as gifts or mementos, and then relegated to shelves, attics, and bathrooms to sit for years, undusted, as visible reminders of happy trips. Whether a native of Florida, a seasonal visitor, or one in need of a getaway, this book is sure to evoke a bit of Florida sunshine for all. Some Call It Kitsch: Masterpieces of Bourgeois Realism. Humphries is Australia's Minister for the Yartz and a close friend of Dame Edna.